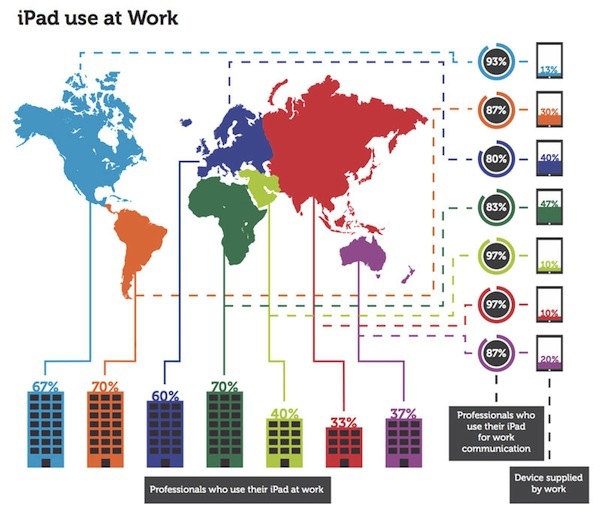 "More than one in ten iPad owning business professionals have indicated that Apple's touchscreen tablet has become their portable device of choice, completely replacing their laptop." It's getting closer and closer for me all the time, mostly due to the improvements in the work space where I spend most of my day, but also in the fact that more and more content is available for the iPad (i.e. mobile flash sites switching to HTML5). And in meetings it has pretty much replaced pen and paper for me. It is just so easy to use in my opinion. What are your thoughts?